Do you currently own or rent property in the Noosa Shire area? Or perhaps you want to own or rent or develop property in the Noosa Council local government area in the next 7 to 10 years? From Friday 15th February, 2019 until Monday 20th May, 2019 Noosa Council want the public’s written feedback in response to Council’s draft new planning scheme for the whole of the Noosa local government area. This draft new planning scheme represents what Noosa Council in consultation with the Queensland Government, should control not only new development at a local government level, but also what controls and guidance should be used to assesses any proposals that may materially change the existing use of current properties to varying degrees. These variations can extend from uses a bedroom in an existing dwelling to offer short term accommodation to demolishing several existing dwellings to construct a home unit complex or retirement village. There has never been a more critical time to provide Noosa Council with your feedback on how you want the Noosa local government area to change over the next 7 to 10 years. 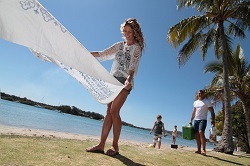 Feedback is required to follow what may appear to be a basic format as identified by Noosa Council during its public display of Council’s draft new Noosa planning scheme. For the public’s feedback to have the most chance of influencing Noosa Council and possibly the Queensland government, it should be compiled in a manner that understands the opportunities and constraints of governments when compiling planning schemes. This may include an detailed appreciation of an array of State legislation, policies and/or codes as well as the ability to quote relevant examples that support that feedback whether these examples are in the Noosa Council local government area or not. Martoo Consulting has had extensive experience in compiling submissions to draft planning scheme in a number of local government areas since 2002. Martoo Consulting has the advantage of having tertiary qualified town planners who are being able to draw on nearly two decades of experience in compiling development proposals under a variety of different planning scheme in a number of local government areas. Planners in the Noosa office of Martoo Consulting have also had over 30 year’s professional experience in working for local governments when these local governments reviewed their planning schemes. The Noosa office of Martoo Consulting is therefore well placed to provide professional advice to any member of the public on not only what Noosa Council proposes in its draft new planning scheme but also how Council’s proposal may potentially benefit or adversely impact of a particular site or precinct. For those people who are looking at developing a particular site within a few years, there may benefits in discussing your development intentions with Martoo Consulting given Council’s draft planning scheme and related town planning considerations.